The 2016 Global Carbon Project’s annual analysis of carbon emissions showed that contributions from coal declined by 0.28 percent during the last year. While this is a hopeful statistic and part of a flattening trend prevalent for the last three years, it does not reflect predictions for coal use globally. Even while country pledges from the 2015 Paris climate agreement move toward implementation, there remains doubt that climate change goals will be met. This doubt is fueled in part by the fact that coal contributes 41 percent of global carbon emissions and coal use is expected to grow for many years. The IEA predicts that China will remain the largest coal producer through 2040, “peaking at approximately 4.7 billion tons in 2025” before starting to decline. Production in Australia, Africa and Russia will also increase substantially, representing 24 percent of the world's total production increase. Coal production in the United States would be reduced 25 percent by 2040 if the U.S. Clean Power Plan clears legal challenges. Why, in the midst of the global attack on climate change that has been underscored by the Paris agreement, will coal continue to contribute significantly to emissions even though it is the most critical fossil fuel to eliminate from the energy mix? The pressure to use coal continues because of its role in producing the energy necessary for economic growth. According to China Water Risk, an NGO dedicated to highlighting the risks water supply shortfalls bring to the economy, China needs to create an additional annual output of 1.2 trillion gigawatts of energy by 2040 to support its economic growth. Seventy-four percent of China's energy mix comes from coal and natural gas. The country annually produces approximately 4 billion metric tons of coal. Water Risk addresses this issue because there it's doubtful China has the water resources to create these new sources of energy. 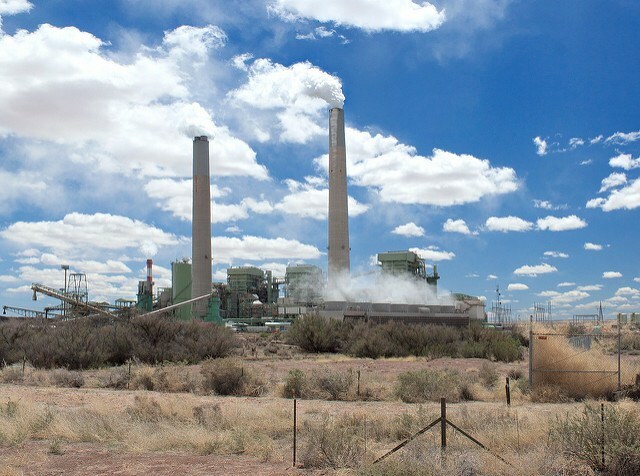 Power plants using coal require water for steam-drive turbines generators and for cooling, but the water needed to produce this coal might not be available. Half of China’s coal reserves are found in what is known as the Dry 11, thedriest of China’s 31 provinces. This is an area that, according to Wikipedia, is the hydrological equivalent of the Middle East. Currently producing 600 million metric tons, India is the world’s third-largest coal producer, yet there is an imbalance between the supply of coal and the country’s demand for power. According to the IEA, this imbalance has “forced outages of coal-fired generating plants, lower plant utilization rates, and increased coal imports.” To address this shortage of coal, India intends to increase coal production from 600 million metric tons to 1.5 billion metric tons by 2020. Japan is another country with plans to increase coal capacity. Because of the meltdown of the Fukushima nuclear plant, Japan has eliminated nuclear energy from its portfolio and will replace that energy with coal plants. According to Carbon Brief, a website covering climate change and energy issues, Japan could burn 30 percent more coal over the next 15 years. "Japan currently has 52 new coal plants in the pipeline – enough to almost double its existing fleet,” Sophie Yeo of Carbon Brief wrote last year. Germany has ambitious energy goals, planning to reduce emissions by 40 percent by 2020, compared to 1990 levels, and to eliminate nuclear energy by 2022. However, Carbon Brief reports that Germany can’t eliminate coal and nuclear energy at the same time. As a result, German coal use has increased since 2009. According to Energy Minister Sigmar Gabriel, his country will not be shutting down coal plants as quickly as originally envisioned. In a Nov. 16 story in the East African newspaper, Mr. Gabriel said coal "will on no account be switched off in the next decade, in my opinion not even in the one after that." The East African story also reported that Australia gets two-thirds of its power from coal, the country’s second-biggest export. In 2014, former prime minister Tony Abbott said, "Coal is good for humanity and an essential part of our economic future." The biggest wild card in the coal discussion is the United States. From Marrakech to the Washington Beltway, people are asking what President-elect Donald Trump will do in regard to climate change. The soon-to-be president has publicly denied the existence of climate change, vowed to pull out of the Paris agreement, said he will eliminate the U.S. Environmental Protection Agency, stated opposition to the Clean Power Plan, and appointed a leader of the climate-denier minority, Myron Ebell, to head the EPA transition efforts. Part of Mr. Trump’s proposals include a vow to make the U.S. energy independent through development of fossil fuels and putting coal workers back to work, a nod to encouraging more coal production and consumption. These pronouncements come even as China boosts its coal production, but still pledges to cut back after reaching a peak in 2025 and to continue displacing coal energy with renewables and nuclear power. Japan’s current relationship with coal is based on the Fukushima disaster and the resultant fear of nuclear energy, not on backing away from reducing emissions. As Carbon Brief reported, Japan proposed an emissions-reduction target of 26 percent below 2013 levels by 2030. This would be achieved by restarting nuclear generation, although Carbon Brief reports the country's emissions goal is considered unrealistic. What will it mean to global emissions goals if the U.S. ramps up its coal production? Since the Kyoto Protocol of 1997, the world waited for the U.S. to stand up and take leadership of the effort to battle climate change. The Obama administration finally took the reins and joined with China to take a global leadership role that resulted in the 2015 Paris agreement. It is ironic that the incoming administration plans to abandon the role of leading international climate efforts just when U.S. participation is most needed.